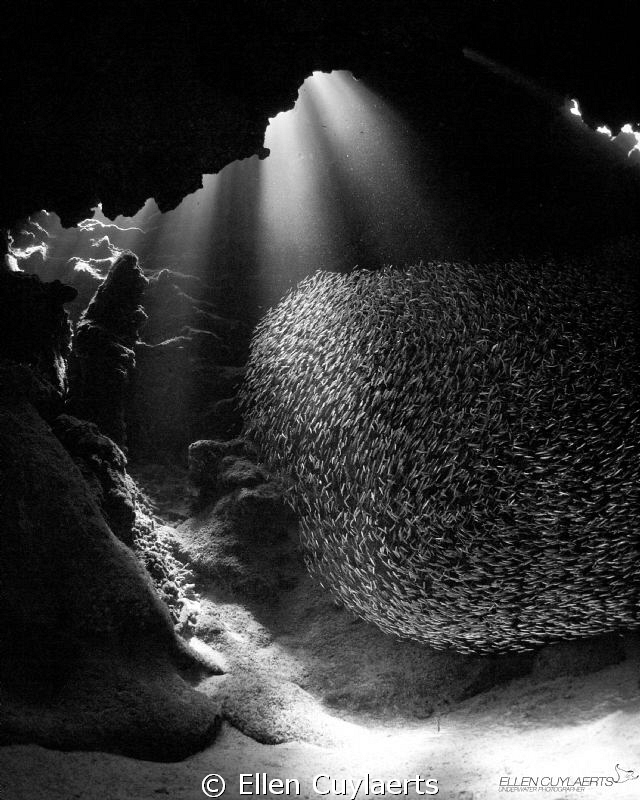 Ball of silversides...on the roll! No need for big toys - When knowing how to "draw with the light", even the smallest camera can produce a winner shot. Awesome scene, Ellen !